Homeland Security officers arrested Cal State Fullerton student Michael Crippen on Monday for modifying Xbox video game consoles to play copied games. The practice of "modding" a video game console is fairly common. 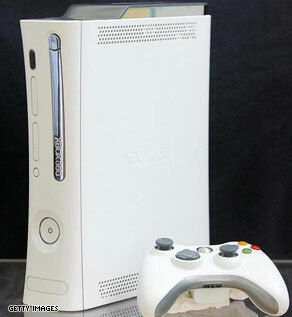 Directions to modify the Xbox and Xbox 360, and even instructional videos, can be found online. Xbox "modders" defend their actions by claiming the game console is personal property and that modification is necessary to upgrade console hard drives or play legal backups of games they already own. However, bypassing DRM security is a violation of the Digital Millennium Copyright Act of 1998, which states, "no person shall circumvent a technological measure that effectively controls access to a work protected under this title." In an indictment provided by Wired.com, authorities claim Crippen "willfully and for purposes of commercial advantage and private financial gain, circumvented a technological measure that effectively controlled access to a copyrighted work, more particularly, used software to modify a Xbox machine's Optical Disc drive so it would circumvent anti-piracy measures contained on the original unmodified Optical Disc Drive." Crippen faces two counts of violating the DMCA and the possibility of ten years in prison. He is currently free on $5,000 bond. Crippen was targeted by the federal government for allegedly running a console-modifying business out of his house. But what do you think of people who modify their Xboxes for personal use? Should modding be illegal simply because it could result in piracy, despite other legal applications? What i do not understood is in truth how you are now not really a lot more smartly-liked than you might be now. You're so intelligent. You know therefore significantly relating to this topic, produced me in my opinion imagine it from a lot of numerous angles. Its like women and men are not fascinated unless it’s something to accomplish with Lady gaga! Your own stuffs nice. Always maintain it up! Having read this I believed it was extremely informative. I appreciate you finding the time and effort to put this information together. I once again find myself spending a lot of time both reading and leaving comments. But so what, it was still worthwhile!